Camp Galilee Church Camp and Retreat Center is seeking a Christian couple to serve as Camp Manager/Caretaker. The position reports to the Board of Trustees and is responsible for managing reservations, social media, general facility maintenance upkeep and housekeeping. 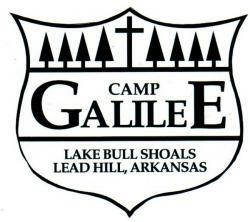 Camp Galilee is a 501c3 located on Bull Shoals Lake in Arkansas. Candidates should have strong passion for Christian hospitality and camp/retreat ministry. Must be a resourceful self-starter who is positive and outgoing. Capable of facility maintenance and grounds upkeep. This is a salaried, full time, year-round position. On-site, housing and benefits are provided. Please submit a written testimony with application ASAP as we have an immediate opening for the 2019 Camp Season.